Fairwealth Securities is a key player in the stock market with hundreds of Fairwealth Securities Sub Broker working under them across India. One of the most renowned shares sub-broking parties based in Delhi, NCR, Fairwealth Securities has been fully recognized and has achieved a fair amount of success in its trade. In this article, we will be discussing the details of Fairwealth Securities. We will be scrutinizing the benefits, offers, brokerage charges, business models and other programmes covered by Fairwealth Securities. Having been in the business for over 14 years, Fairwealth Securities displays a profile of good experience in the domain of broking and has served many pleased customers. The clients have been a part of the company have rated it an average that proves the point. The agents and customers mainly assert that the company is quite good and very fair. They have rated Fairwealth Securities satisfactory in its products, services, support, experiences, trading, market share, etc. Thus we can say from the 3 out of 5 stars that the enterprise has come to fulfil all the promises and claims made by them about their function. Fairwealth Securities is a full-service broker company that has been providing its services to the Private people since the year 2005. It has its headquarters in Delhi, NCR. The owner of the firm is Mr. Dhirender Gaba. The Sub Broker Activation time stated by Fairwealth Securities is 30 days and the Payout time that is required by the firm does not extend more than 35 days. The Master franchise model is very much similar to the Sub broker model. The only distinction between the two is that in the Master Franchise model, the master franchise is the owner of that location and no other sub-broker is allowed to work at the place where the master franchise is working. Fairwealth Securities provide its brokers with the Share Sub broker business model wherein it gives full freedom to all its sub-brokers to work under the title of the company. In this model, there is a monopoly of business which is the basic distinction from the master franchise model. Here, two or more sub-brokers from the same firm are free to work together or set up their broking businesses at the same location as the other broker. In the Remisier model offered by Fairwealth Securities, the Remisier is actually an agent that provides good leads to the broker parties and gets some percentage of commission from the revenues once the leads are successfully converted. The commission received by the brokers working under Fairwealth Securities under the Master Franchise Model has their revenues ranging between 75%-80% depending on the amount that they paid for their initial cost. For the Sub-broker model, the brokers are entitled to a minimum of 50% and the percentage can go higher up to 70% based on their security cost. 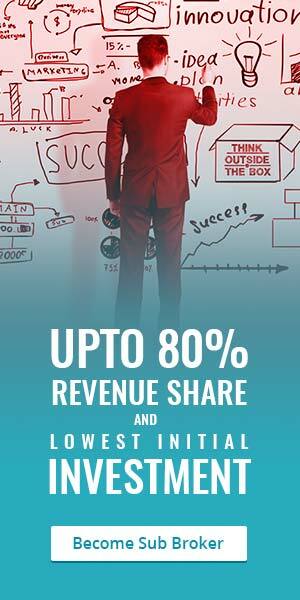 As for the Remisier model, the sub brokers avail up to 10% of the revenue by the company based on the leads provided by them that got converted. The Initial deposit for the Master Franchise model starts with Rs. 200,000 which you will have to pay. However, it is very important to state that the amount that you will be paying acts just a reservation on your behalf as the beneficiary of the company and the whole amount will be refunded to you once your term with the firm is over or you decide to dissolve the partnership. Another important aspect to keep in mind is that the amount which you will deposit as the initial deposit will determine the percentage of revenue that you will get back from the profits. The higher the amount of initial deposit, the greater will be your rate of returns. The maximum amount that you can reserve as the security deposit is Rs 400,000. For the Sub broker model, the minimum amount of security deposit required is Rs 50,000 and the maximum amount you can pay is Rs. 100,000. As for the Remisier Program, one needs to provide Rs. 10,000 to become a partner with Fairwealth Securities. These amounts are kept as a security deposit under Fairwealth Securities and you will have to carry on business under the firm’s name. 0.40% for equity delivery, 0.04% for equity intraday, futures, currency futures and commodity. Rs 60 per lot for equity options and Rs 40 per lot for currency options. Fairwealth Securities charge its clients in a very decent and fair manner. The clients have to pay Rs.300 per annum as Demat AMC, Rs.250 as account opening charges, 0.00275% transaction charges and minimum Rs.15,000 as Margin Money.